What are the elements of accessible design? Sidewalks are more than just somewhere to put your feet. They can be used to facilitate navigation. 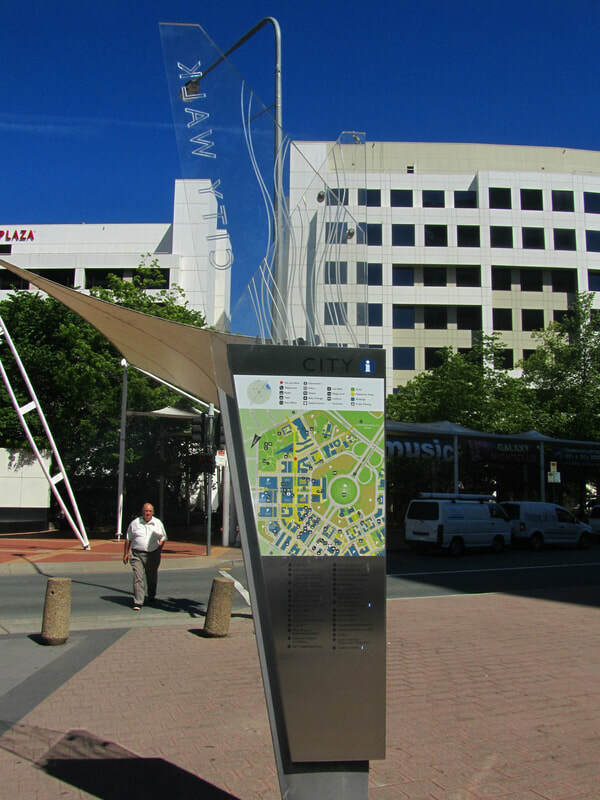 Engraving street names at crossings presents this information at an easy-to-read distance, especially when positioned at all corners. 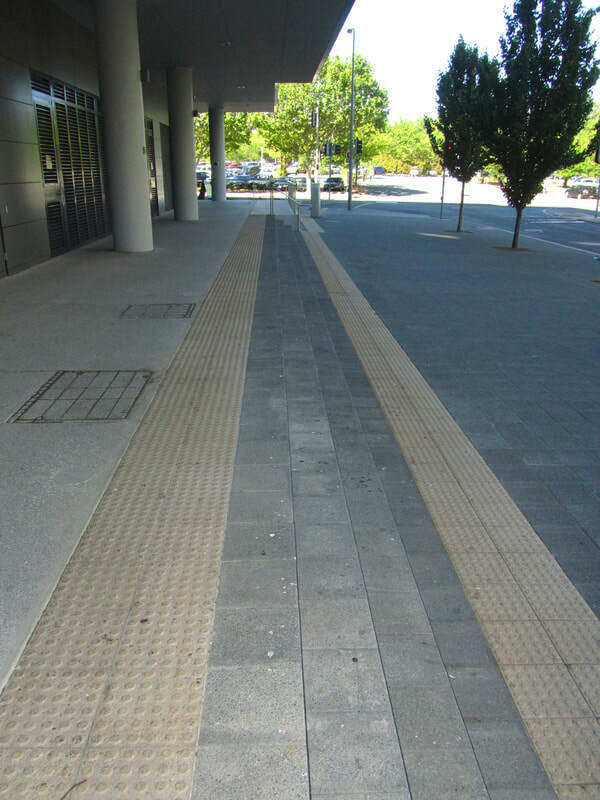 Texturing and high contrast colours can also be used to denote crossings, intersections, stairs or changes in elevation. to denote shared pathways with cyclists. 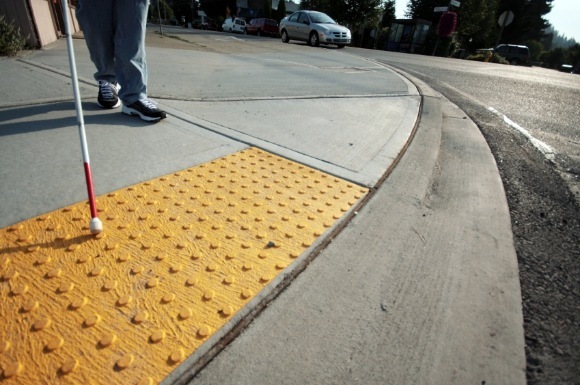 Curb cuts combined with bright colours and textures provide warning for those with limited vision of the approaching street. The use of clear maps, highlighting points of interest, along with the reader’s current position, is also useful. Maps should use large fonts and not be cluttered with too much information. can best connect people with services. 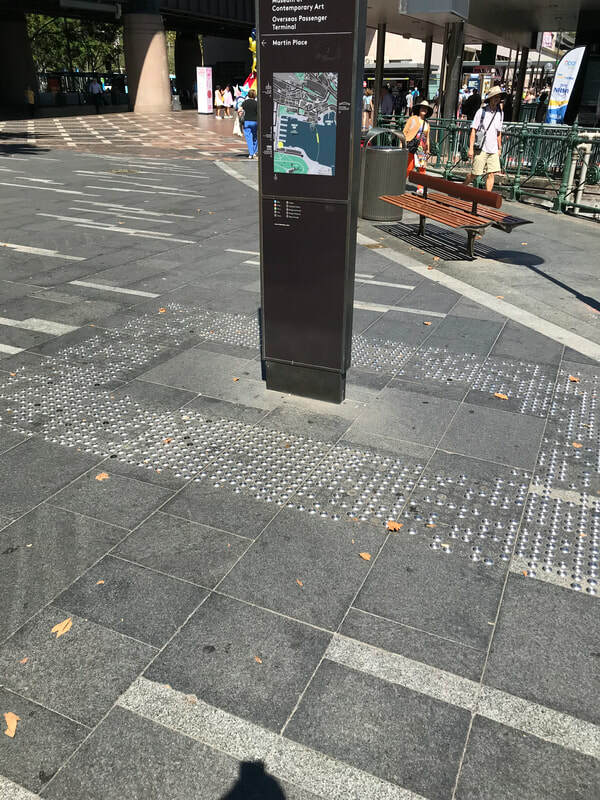 One easy way to improve accessibility is to provide easy-to-read information on directions and locations at regular points around the community. Information signs must be clear, use high contrast colours such as white on black or black on white, be presented in large, clear font and, whenever possible, be positioned at eye level. 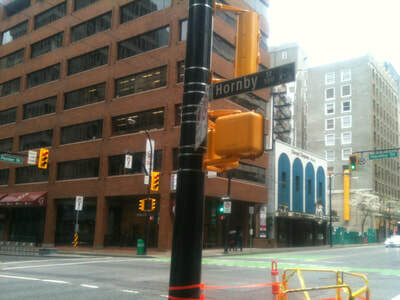 Street signs should be located on more than one corner of major intersections. 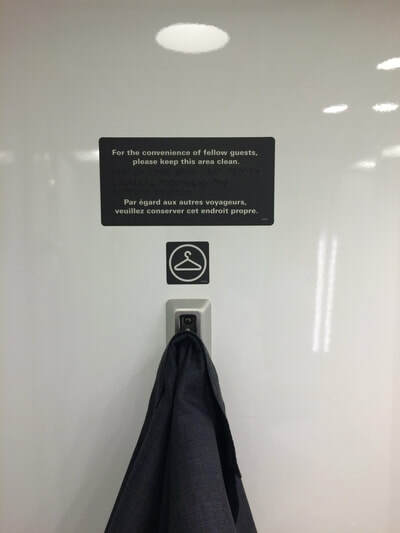 Important signs should be at eye level so that those with low vision can get closer to read. Avoid signs hanging from ceilings. Urban design in general benefits when a proper sense of place is created. 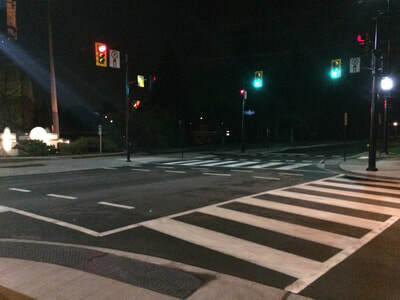 Whether a person feels safe in the environment is highly influenced by a sense of separation from vehicles, bicycles, rollerbladers and other activities that are often traveling at higher speeds. Space can be separated using a variety of low cost design features. 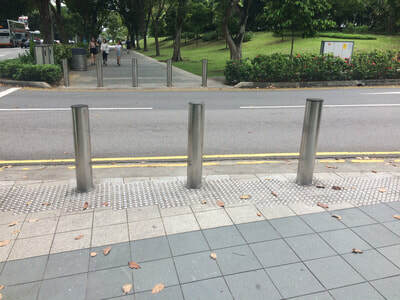 Bollards, posts or rails are one option to provide either a permanent or permeable separation. 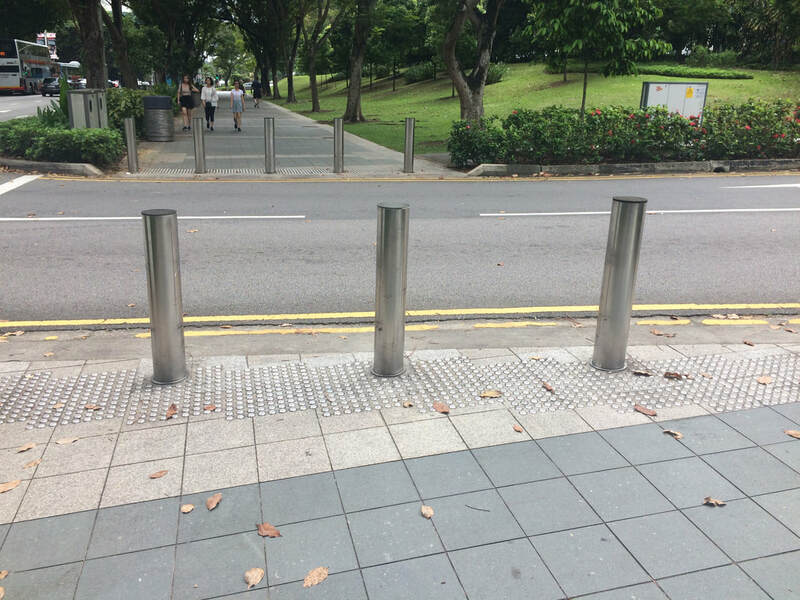 Even occasional bollards along a street or at a corner can provide a sense of comfortable separation in a busy environment. 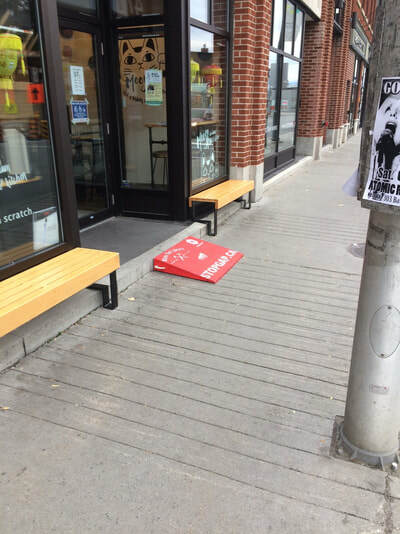 Plus they offer somewhere to rest your drink or bag for a moment! The use of plain colours or textures is another option. 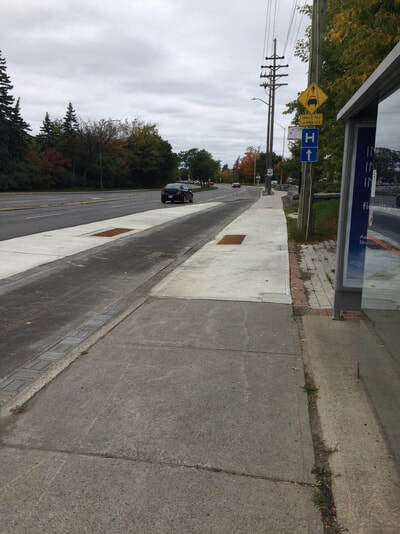 This is quite common in the identification of cycling lanes and tram lines traveling at grade. Be sure to select high contrast colours. 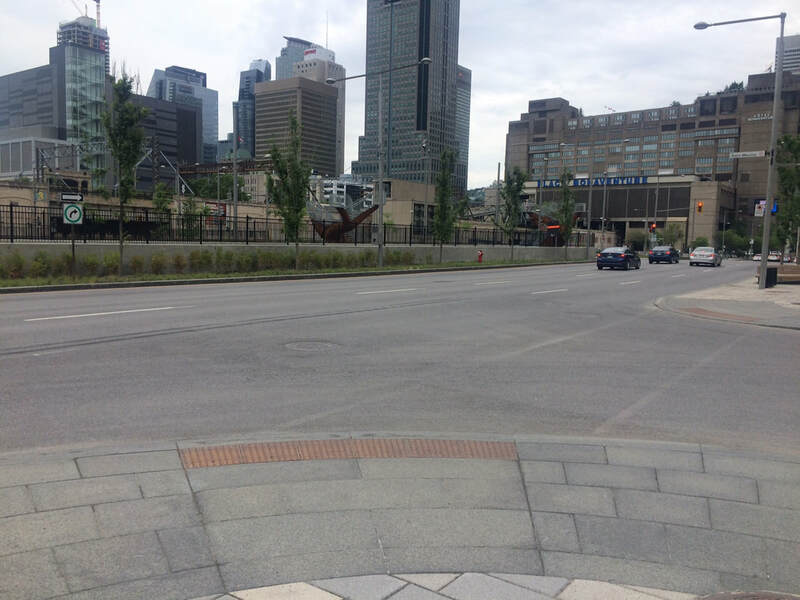 While it is important that colour choice blend in with the surrounding context it must be noticeable - even to those who may be colour blind. 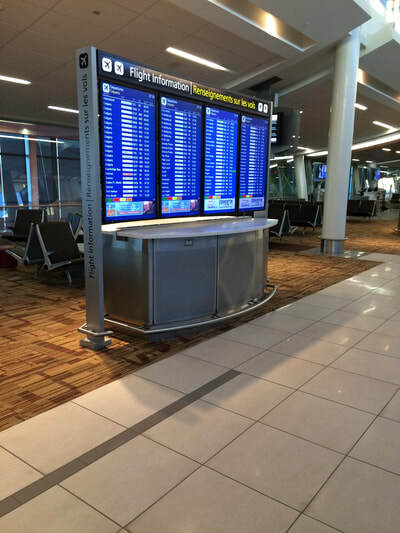 The combination of design features can improve the safety of a space. 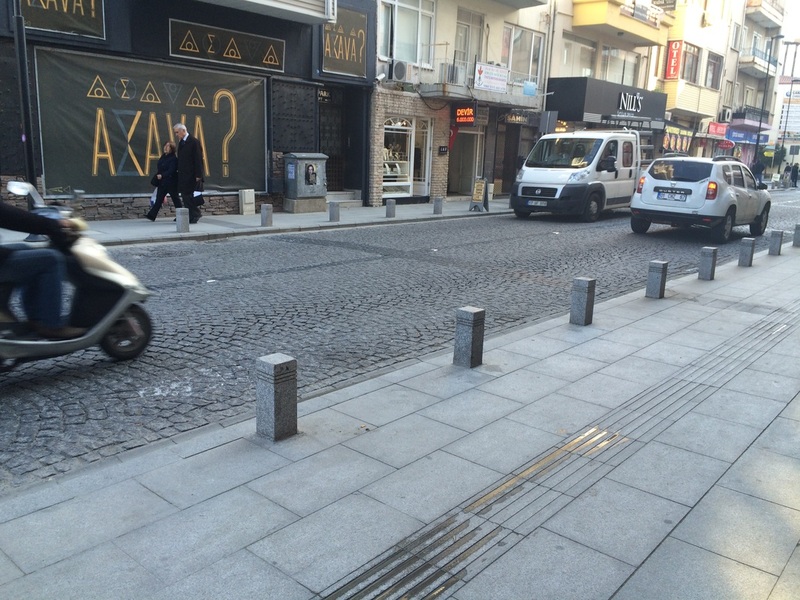 In this case the combination of bollards and sidewalk texturing separate pedestrians from vehicles. 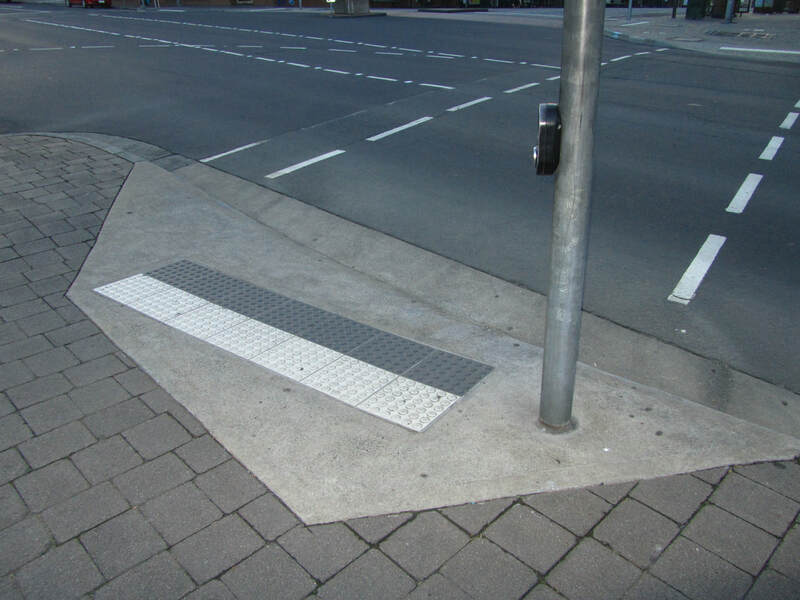 Click on an image below to learn about some examples of good practice in urban design enabling a more accessible environment. The combination of textures and colours can help to define changes in grade and separate spaces to create a more safe feeling environment. Navigation signs help people find both themselves and their destination. To ensure accessibility ensure that colours have strong contrast and fonts are an easily legible size - no smaller than 16 point. Make use of braille along with good contrasting fonts when communicating signs. 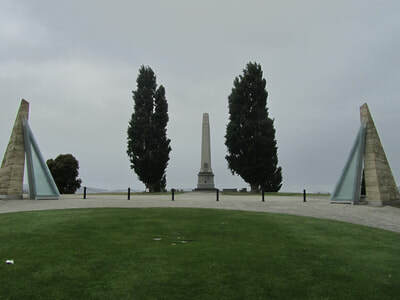 The war memorial in Hobart, Tasmania plays audio dictation of text on the panels when a visitor approaches. 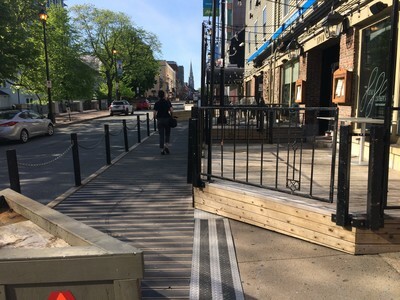 Providing ample alternate space for pedestrians when sidewalk space is taken over by restaurants, patios or other uses. 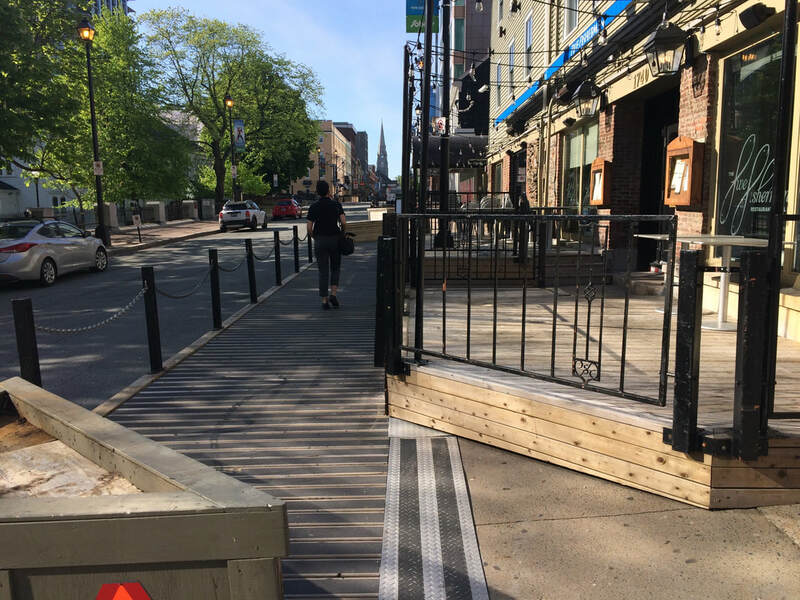 Short terms solutions can be used to remove access barriers like this temporary ramp. Click on an image below to learn about where improvements could be made to make an space more accessible. Sidewalks need to form a complete network unlike this sidewalk to nowhere. 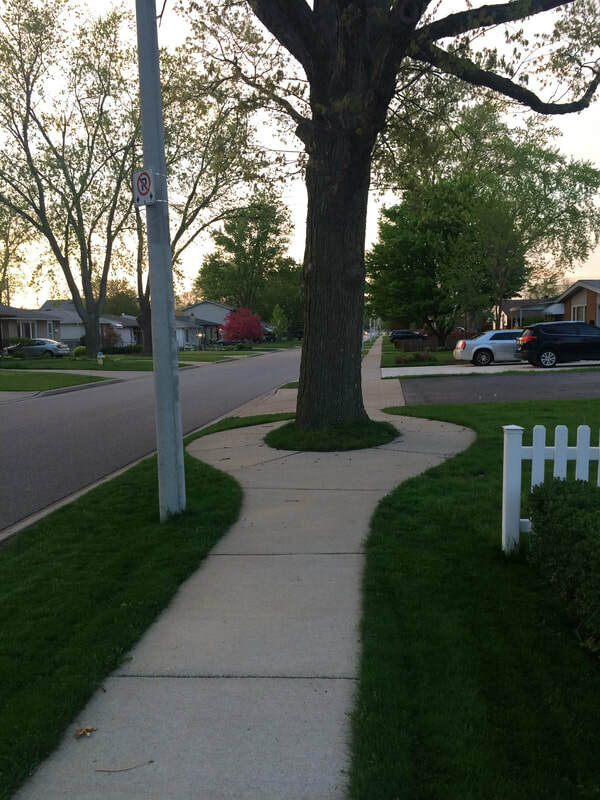 Great effort at tree conservation however how would someone with a cane anticipate this obstacle? Ramp and trunkated domes for texture guide people in a specific direction. 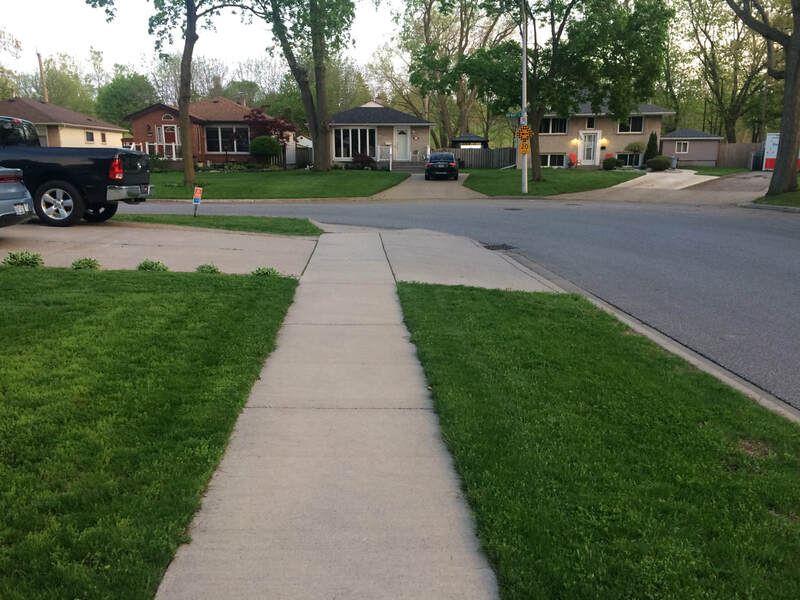 Here that direction is out into traffic. 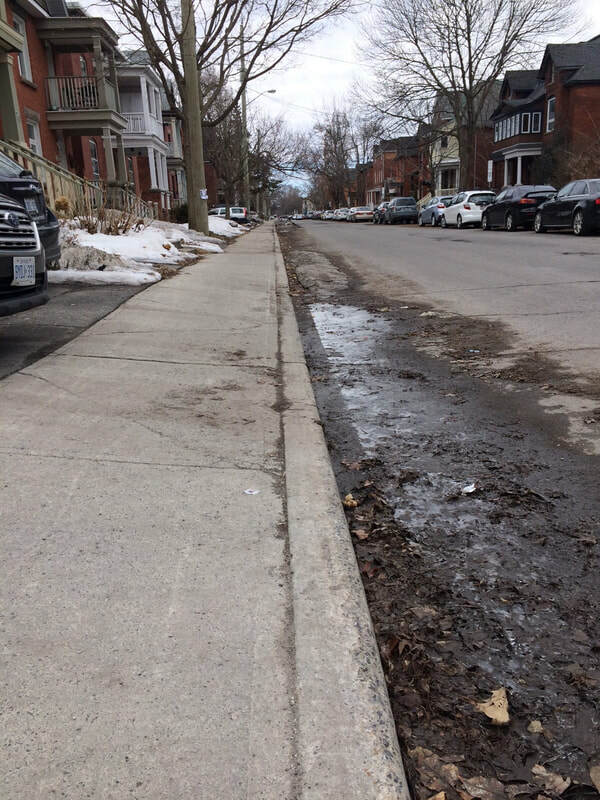 Curb cuts make driveways accessible for vehicles however the constant grade can be hard on seniors and people with mobility limitations. 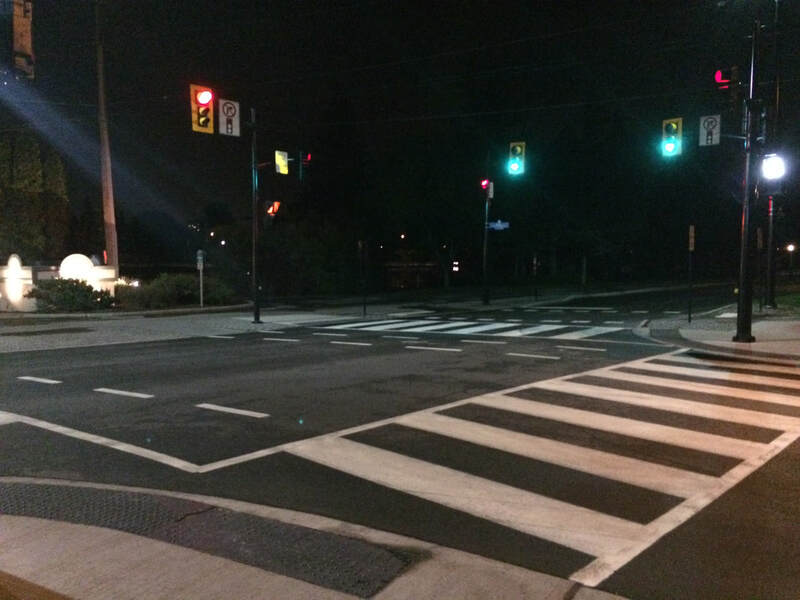 Providing textures to assist in identifying safe crossings need to cover a full service area. The bus is unlikely to line up with the limited area of texture at this stop. Moving people through public space is the essence of wayfinding. As our cities and communities become increasingly urbanized with more people and economic activity we as planners need to become better at connecting people with points of interest in their environment. 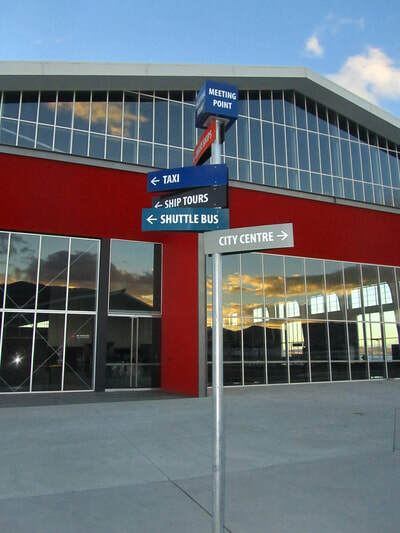 For further information on the principles of wayfinding I recommend reading The Wayfinding Handbook by David Gibson.